I don’t know that we can be truly ready for the big changes. Even those we gear up for and plan, anticipate or lay awake with in the middle of the night look different when we’ve come upon them, are able to finger their intricacies, behold them in the real light of day. All we really have is the moment right here, so how can we be ready? For more than sixteen years, I’ve walked through my days with little people. First the girls I mentored, who I worked with (and certainly loved) more than full time, holding hands and equipping for life challenges, helping heal from life’s pains. And then my own three — always at least one little girl at my side as I did dishes and laundry, as we danced in the kitchen and gathered acorns, and I tried to carve out space, searching for an ever-elusive balance of me with her. Without realizing it, I determined the worth of my days through a melding of their responses, God’s urges and my own, making mental stock of how I was doing by how my words, expressions and actions ricocheted against little spirits and flesh. I was always so needed. And now there’s this house, empty (except for me) hours a day. It is so clearly time, but no, I wasn’t ready. For the hush of quiet, for how much I’d talk myself through the hours, for the space to think my own thoughts and how strange the grocery store feels alone at 1:00 in the afternoon. For how the wind and sun against my face would take me to the edge of a curb, sorrow and mysterious peace wrapped up in the shaking leaves. I’m not ready for what’s ahead myself, and if I didn’t have retreat talks to write and preparations to make, I might very well fill my days, fill those aching gaps with distraction, coffee date after coffee date after volunteer opportunity after long-delayed email. But God in his infinite wisdom and love wants me right here in the quiet. Of course, he knew that I’d be in this house, at this laptop, writing old pains while living through new aches, my need for him yawning wide. He knew, in a way I never could, that I’d be ready to reach out my hand for his tender companionship, surrendering to the hush of grace, whipping wind and tapping keys. 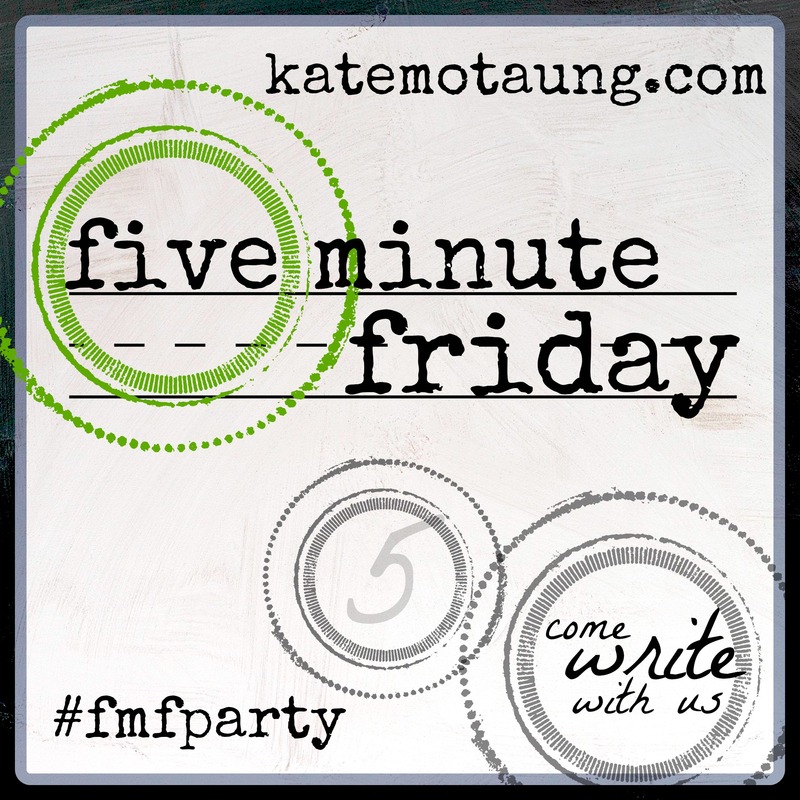 Joining with Kate Motaung and the Five Minute Friday community with today’s prompt: READY. Girlie… I am so there with you… this house is empty now more than it’s not it seems and He has held me close and kept me quiet through most of the Summer… not allowing me to fill the time and space and just move right along! Finally, I am so thankful for that! Praying for you! Excited for what is next! I love what you say, friend: “Finally, I am so thankful for that!” I know exactly what you mean. I see that up ahead. Grateful for the ways our journeys have criss-crossed, in this same, but different, empty nesting. I appreciate the ways you have stilled to experience God’s presence right where you are. It spurs me on. Love being in your house with you, and in your new season of life. Always, always I am blessed by your words. I love seeing you here, Melanie. Thank you for the gift of your presence. Much love to you and your family. Dianna, it’s amazing, isn’t it, how God will lead us from emptiness to filling, despair to joy? I already can see it in the hope of your words. Praying blessings over you on this leg of your journey! Thanks so much for being here. You are so more ready than you feel because you purpose to do this WITH God and not beside God. Dear Becky, thanks so much for your encouragement. This past weekend, speaking, was just that — WITH God. A totally unexpected package, but good. Learning so much about trust. Much love to you, always. Oh yes, Ashley. The hush of the quiet … It is a melancholy transition you are in! I know you understand that, Anna…not to mention the different kind of hush I can only imagine, living in a foreign land. Praying for you and your people. Love you, friend. Loving you through this transition and excited for all that’s in store. Moved by your words and your heart, as always, my friend. You bless me deep. I understand your place right now…thanks for putting words to it for me. Thank you, Martha, for expressing the resonance. I pray that you would feel held in the space you find yourself, too, friend. This whole piece moves me with its haunting holiness. And it’s this that reaches out a hand to my heart – “my need for him yawning wide.” The way he is moving you into quiet, the way he’s moving in you right now, moves me, too, beautiful friend. May we lean into that yawning need and let ourselves tumble head first into him. I love you. 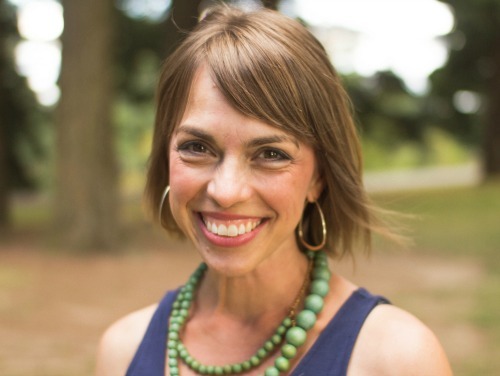 “May we lean into that yawning need and let ourselves tumble head first into him” — amen to that, Amber. It’s the only true way. I love you, sister. Thanks for the reminder that in the quiet, empty spaces we’re still not alone. God bless. God bless you, David. Always appreciate your presence here. What beautiful words and wisdom. You are right where He wants you. I’m so proud of you! And I’m so proud of you. It’s hard to see in yourself, but I’m believing it’s all for a purpose. Love you so! The amazing retrospect of seeing ourselves get pulled and stretched and put back together again…over and over again with the same stress and crap for what feels like forever… until suddenly it is all very different, and you are different and despite way too many hours on much too much inner analysis, we are in fact changed, and in a new spot, that we never saw coming! And God was there all a long, for only God could orchestrate such a sneaky thing. Such rapid, slow drifting change has come to my life these last 12 months; that the me of 2013 would never think that the me of 2014 would be doing anything like I am doing: home schooling 2, working in the evening, another church, start up community out reach, with a smattering of collage classes. I had no intention of doing any of that, or if I did certainly much later. It came about from crisis, to be sure, but not real crisis, because so much good and comfort are in it now. Good thing we don’t really plan our lives. Leah, I’ve chewed on this comment for a long time. You display such depth, and your words are a gift. I love what you say about how our junk seems the same over and over, until it’s suddenly very different….and not what we would have written, but what God desired for us all along. Your life sounds so full and beautiful (collage classes — yes, please!!!). It’s stunning how much comes from crises, both big and small, and the fruit from struggle. Bless you in all the places you bring your heart and hands. oh, so poetically and heartfelt is this sentiment of change and being ready…of course we aren’t ready, are we ever, for the big things? But so right you are, that God knows this more than we and there He is. 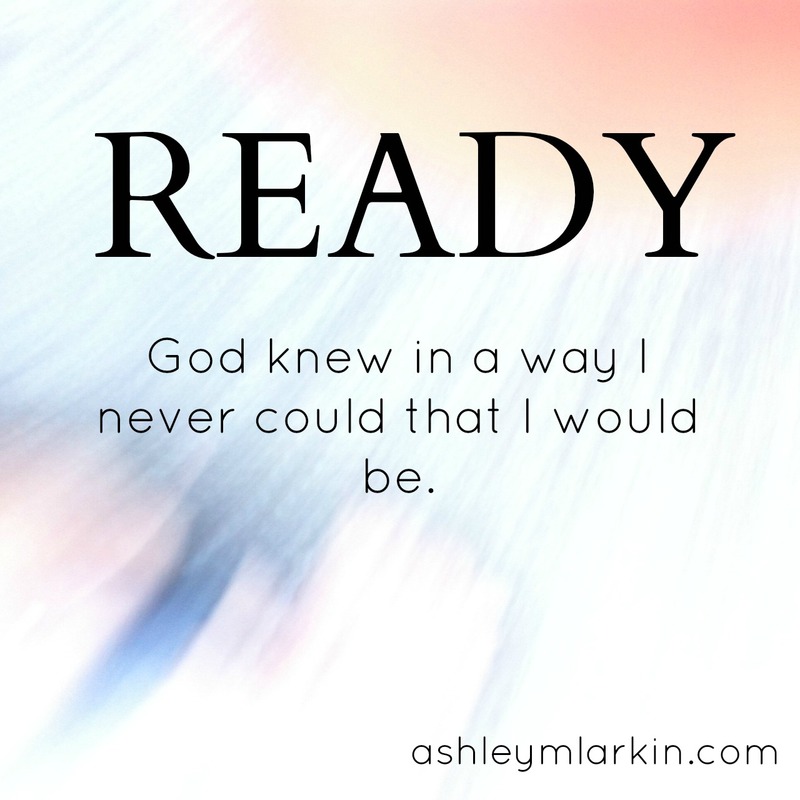 No, I’m never ready for the big things…that’s for sure. Good thing God is, as you say. Love you so much, friend.